It may sound repetitive, but I've searched a lot in the forum and I hardly found it at last! So I decided to put it here for a more rapid serach (moderators are free to remove this topic if useless). This micro-tutorial to explain how to enable the thumbnail preview if it doesn't show up automatically. It typically happens when you have two sketchup version installed and you uninstall one of them: once uninstalled, your skp files' thumbnails are gone, and you can only see the standard sketchup.exe icon. type "cmd" and then press "return"
"cd C:\program files\google\sketchup 6\" and press "return"
"regsvr32 thumbsup.dll" and press "return". Does it work with Vista as well? I'm having the same problem in that I don't have previews for any SU models which is a pain as I want to tidy up some folders but can't when all I have is the description. I'm running Vista 64bit so if I follow pibuz's advice would I have to type "regsvr64 thumbsup.dll" and press "return". Hi guys, do you know how you enable this on a Mac? Thanks a lot. Ive been wondering how to do this for a while. This would be nice as a sticky thread. thomthom wrote: This would be nice as a sticky thread. kevsterman wrote: I'm running Vista 64bit so if I follow pibuz's advice would I have to type "regsvr64 thumbsup.dll" and press "return". That doesn't work on my box. Anyone else has an idea to get this working for Vista 64 bit? Where would I find the SU installer? Marklas wrote: Hi guys, do you know how you enable this on a Mac? it's not so simple but it's doable... one way is to select custom icon in the 'save as' dialog..
the weird thing about this is that the icons have to be bigger than 48x48 in order for you to see them correctly.. [finder / ⌘J / icon size] .. if you don't want the bigger icons on your system, make a folder for skp files and have only that folder display larger icons (and that works out ok since you're actually trying to look at the icon)..
another problem is that your system isn't showing a preview in the same way it does a .jpg.. you can put a generic icon jpg on your computer and be able to see its icon as a preview.. with the skps, you're only seeing the preview because you custom made an icon for it... so, only the files that are saved with a custom icon will be able to be seen as you wish.. all the other ones will still have the generic sketchup icon..
there's an app called GraphicConverter which used to ship with os x... it stopped shipping with macs around the same time they added .skp support to the app ..
once installed, you only have to browse a folder containing skps in order for it to make preview icons for the files.. super easy -- file/browse folder/navigate to folder... the icons it builds are much nicer than the sketchup customs and it changes the icons very quickly.. these icons are also visible at any size.. if you really want, you can turn on the GraphicConverter automator actions and search your whole system for skps instead of via folders..
so those are the two workarounds i know of.. maybe with snow leopard we'll see system support for this.. 10.6 is supposedly going to be a more fine tuned 10.5 instead of a bunch of new features.. focus will be on stability, memory use, etc and i can imagine support for a wider range of files which not only will have preview icons but will be viewable with cover flow & quick look.. I fixed it by hitting the SU installer and clicking the "repair" option instead of the "install" or "remove" option. It will then check to see if there's anything out of the ordinary (like faulty preview information) and fix it. Is there anything else I can try? Is it because I've got SU 6 & 7 installed? Do I have to have all my components in the original SU folder, ie, in the programme files? At the moment all my components are in a folder in My Documents for ease of access. No..you don't have to. However I am finding on my Vista comp it is reporting error when calling regsvr32 thumbsup.dll. As consequence I have preview of .skb instead of .skp. Quite bizzare. Grr.. I'm still no nearer to solving this problem. Anyone have any other ideas? sorry.may i know where to press 'return' on the keyboard?which key? 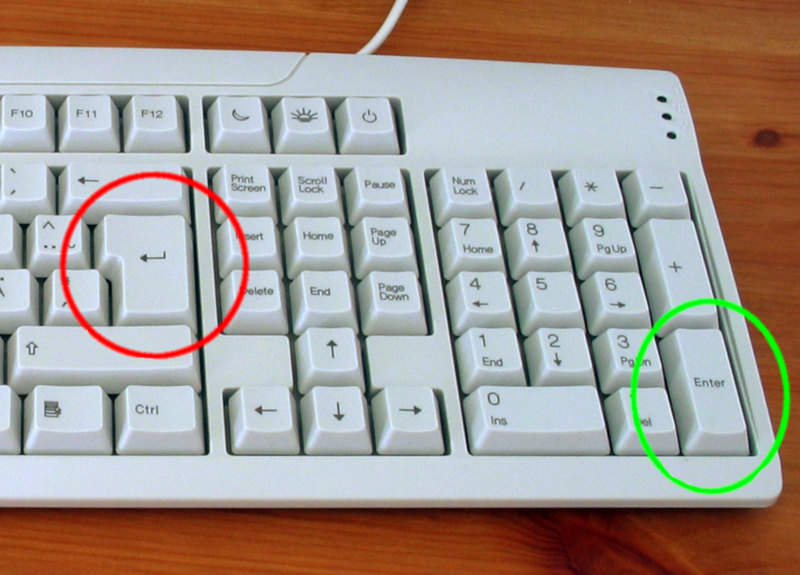 Yup, "Return" is an "old fashioned" name of the Enter button (does Mac still u7se it BTW?). It comes from mechanic typewriters when that button "returned" the typewriter to the beginning of the next line. [there's an app called GraphicConverter which used to ship with os x... it stopped shipping with macs around the same time they added .skp support to the app .. This is EXACTLY what i've been wanting in a .skp viewer/organizer for mac!!! i can move, delete, etc. Brilliant!!! thanks sooo sooo much for showing us this!!!!! For Vista 64 bit users (the TRICK is only for XP) Xnview works as well. Thanks for that hint Kwist. I've downloaded Xnview and it does the trick, tho as you say, being able to do it in the native explorer would definitly have been better. kwistenbiebel wrote: For Vista 64 bit users (the TRICK is only for XP) Xnview works as well. I just installed XP Pro 64bit, and the thumbnails don't work from the beginning. I've tried the command you mentioned, but this is what i got. Is there XP-64 bit users that can see SU's thumbnails? Don't think there is. The SU preview is a shell extension and 64bit OS need 64bit shell extensions. Though, maybe you can see them in the file dialog of 32bit applications..?